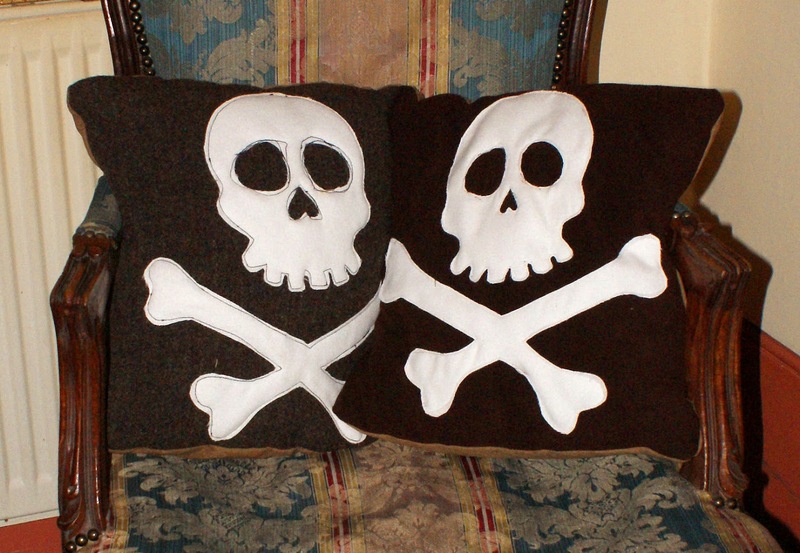 Kaiser Calavera: Some of our cushions selection! We specialise in high end, upcycled and vintage inspired homeware, props and bric-a-brac with a nerdy Kitsch-a-Billy twist! Oh yeah! We do cushions, lamps, tea towels, clocks and selected original vintage pieces. Some of our cushions selection! We are offering a growing selection of cushions in Italian wool or Harris Tweed. 16"X16" with anti allergenic filling! As with all of our creations, these are inspired by the typical imagery of the Rock-a-Billy subculture, super kitsch but high quality in some of the best quality materials available. We like it edgy yet cozy, high end yet just a touch tacky, complete with ugly lampshades and leopard prints on the walls! All rights reserved. All content is copyright of Fabrice Arfi. Welcome to Kaiser Calavera! After producing props and sets for theatre, we have decided to expand our practise by offering you a whole new range of Kitsch, Vintage and Vintage inspired props and homeware!